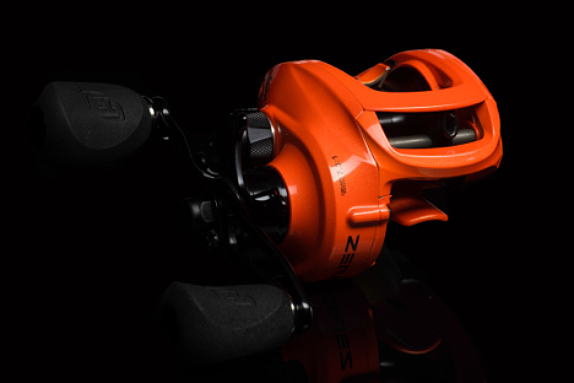 The Concept Z baitcasting reel, which features zero ball bearings, will retail for $200. That�s what anglers, pros and amateurs alike, have been programmed to think over the years when it comes to the number of ball bearings in a baitcasting reel. The folks at 13 Fishing are prepared to change that. With the introduction of the Concept Z baitcaster at ICAST this year, 13 Fishing is poised to redefine how high-performance casting reels are perceived. The latest reel from the Clearwater, Fla.-based company contains zero ball bearings. There have been other reels made without ball bearings in the past, but those involved in the development of the Concept Z believe its durability (it was initially developed for saltwater use) and performance should give it staying power. The main question most will be asking about this reel is how was 13 Fishing able to build a baitcaster without ball bearings that performs on par or better than its other top-of-the-line reels packed with steel or ceramic bearings. The answer is it was able to develop high-tech polymer bearings (Concept Zero Bearings or CZB) that resist corrosion and allow the reel to perform at a high level over a longer period of time. Prior to joining 13 Fishing, Baldwin ran the largest fishing rod and reel warranty center in the U.S. The facility repaired upwards of 15,000 reels annually and he said 90 percent of the issues were related to ball bearings. Baldwin is now the product development manager at 13 Fishing and took the lead in bringing the Concept Z to life. He compared it to the concept of CorningWare being discovered by accident as a parallel for the Concept Z. �Some things just happen like that,� he said. �I sat down with the ownership group and said it�s outperforming what we�ve already made. It�s a special technology. The reel�s curb appeal is striking, too, with its reddish-orange (13 Fishing calls the color tequila sunrise) frame paired with a black handle, black EVA knobs and black lettering. �Orange is my new favorite color,� said 13 Fishing pro staffer and Elite Series angler Dave Lefebre. 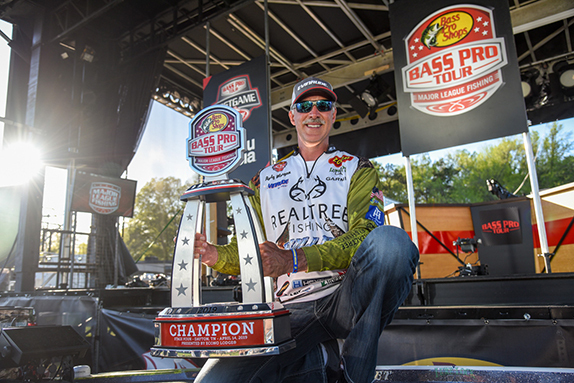 The company�s clever pre-ICAST marketing push includes a series of videos published across the 13 Fishing social media channels. 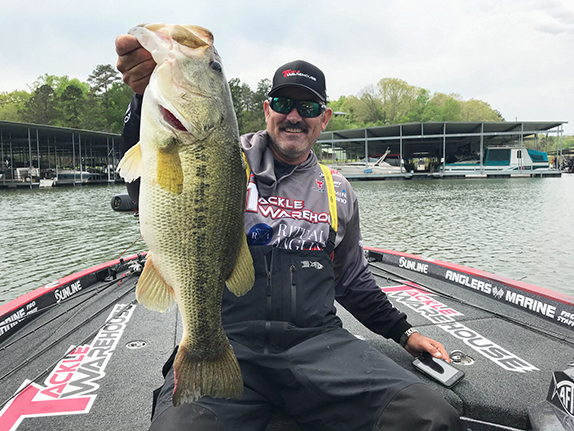 In the videos, pro staffers Stetson Blaylock and Brandon Coulter, both Elite Series anglers, are shown casting with the new reel and their reactions to its casting distance and smoothness appear to be genuine and unscripted. Additional videos are due to be released, including one featuring Lefebre, in the next week. When it was Lefebre�s turn to see the Concept Z for the first time, he was kept in the dark about it when Baldwin and videographer from the company visited him in Erie, Pa.
�I thought we were going out to catch some fish,� Lefebre said, noting he only had several spinning combos rigged up. After spooling line onto the Concept Z and tied on a Texas-rigged soft stickbait, he finally made a cast with it. > If you haven't seen the videos featuring Blaylock and Coulter, check them out below. 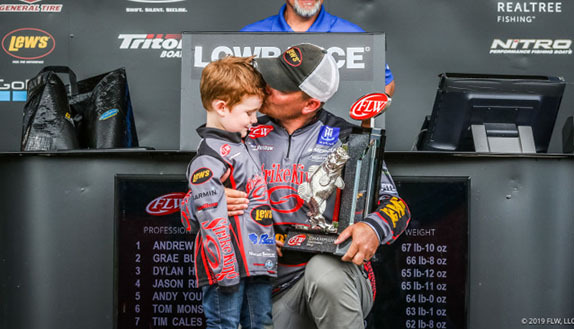 Luck often plays a key role in any slugfest tournament, which the FLW Tour event on Cherokee Lake certainly was.